At least that’s the idea behind some new research on the effects of belief in God on the brain. Apparently, people suppress the areas of the brain used for analytical thinking and engage those parts of the brain used for empathy in order to believe in God. The clear message of these research “findings” is that you have to stop thinking in order to believe in God. Belief in God is about how you feel, not about what you think. I have not read the actual research, and probably couldn’t make much sense of it even if I had. But I don’t need to review the research in order to know that this research is irrelevant to the question of whether God exists. First, it commits a logical fallacy known as the genetic fallacy. This fallacy is committed any time one attempts to invalidate the truth of some X because of the origin of X. Since belief in God has its origin in our feelings rather than our thinking (the origin of X), God (X) does not exist. He’s just a product of our personal feelings. Until relatively recently, most people believed that human beings are constituted of both body and soul. 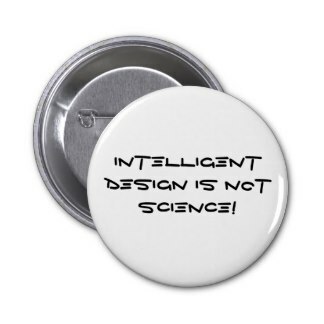 With the rise of materialism, Darwinism, and neuroscience, however, this notion is under scrutiny and dismissed by most secular thinkers as ridiculous. The notion that humans have souls is tantamount to a “ghost in the machine,” as British philosopher Gilbert Ryle put it. The existence of the soul is important to Christianity for a variety of reasons. First, the Scriptures teach that humans have souls. If we don’t, then Scripture is wrong. Second, if humans lack souls, then there is no life beyond the grave (at least prior to the resurrection). But apart from the Bible or human tradition, why should we think the soul exists? 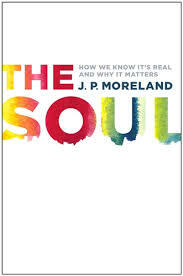 That is the subject of J.P. Moreland’s newest book, The Soul: How We Know It’s Real and Why It Matters. This is not the first book Moreland has written on the subject, but it is the first book that is easily accessible to a lay audience. In less than 200 pages, Moreland lays out the case for the existence of the soul, the nature of the soul/consciousness, and the afterlife. He manages to examine the Biblical teaching on the topic as well. While the modern tendency is to reduce the mind to the brain (appealing to neuroscience for empirical evidence), Moreland argues that this is manifestly false because mental properties are not identical to brain properties. If mental properties cannot be reduced to physical properties, then the mind is not a physical thing, but an immaterial substance. A new Harris Poll confirms that Christian beliefs are on the decline in this country. There is a greater need for apologetic engagement with culture than ever before. If you’re looking for an explanation of the universe, which is a collection of contingent beings, there are only two possibilities: 1) The explanation is found in a necessary being that transcends the universe; 2) There is no explanation. Regarding 1), every physical entity is a contingent being. The “universe” simply refers to the whole collection of physical, contingent beings. One cannot explain why the universe exists by appealing to another physical, contingent being because there can be no physical, contingent beings outside of the collection of all physical, contingent beings. 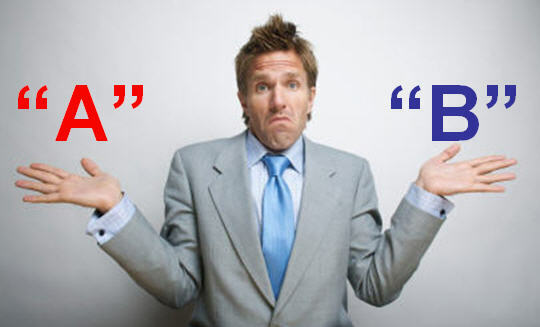 “But,” one might say, “perhaps it could be explained by a prior non-physical, contingent being. Perhaps, but even if so, as a contingent being, that non-physical, contingent entity would also require an explanation for its existence. To avoid an infinite regress, one must ultimately arrive at a necessary being that transcends the universe, and explains why the universe exists. Many believe science has disproven God. This is not possible, even in principle. The truth of the matter is that advances in science are providing more reasons to believe in God, not less. While scientific discoveries cannot prove God’s existence, they can be used to support premises in arguments that have theistic conclusions/implications. For example, science has discovered that the universe began to exist. Anything that begins to exist requires an external cause. Since the universe encompasses all physical reality, the cause of the universe must transcend physical reality. It cannot be a prior physical event or some natural law, because there was nothing physical prior to the first physical event, and natural laws only come into being once the natural world comes into being. Whatever caused the universe to come into being must be transcendent, powerful, immaterial, spaceless, eternal, and personal, which is an apt description of God. 3 out of 4 adults believe in God: 76% believe in God, 14% don’t believe in God, and 10% are not sure. God: atheism 72.8%; theism 14.6%; other 12.6%. Metaphilosophy: naturalism 49.8%; non-naturalism 25.9%; other 24.3%. Mind: physicalism 56.5%; non-physicalism 27.1%; other 16.4%. Free will: compatibilism 59.1%; libertarianism 13.7%; no free will 12.2%; other 14.9%. Meta-ethics: moral realism 56.4%; moral anti-realism 27.7%; other 15.9%. Normative ethics: deontology 25.9%; consequentialism 23.6%; virtue ethics 18.2%; other 32.3%. Time: B-theory 26.3%; A-theory 15.5%; other 58.2%. Truth: correspondence 50.8%; deﬂationary 24.8%; epistemic 6.9%; other 17.5%. Notice that although 72.8% of respondents are atheists, 56.4% are moral realists. This goes to show the strength of our moral intuitions. While atheists do not have a sufficient ontological grounding for objective moral values, they still believe in them nonetheless. I was surprised that only 13.7% believe in libertarian free will. I would expect it to be much higher. Perhaps this correlates with the high rates of physicalism.